The Object 279 early is a Soviet tier 10 premium heavy tank. An early variant of a blueprint project for a high crossing capacity heavy tank with a new configuration scheme. Developed in 1947–1948 by L. S. Troyanov. This vehicle was to feature a low four-track engine, mounted on longitudinal beams that also served as fuel tanks, considerably reducing the chance of fire. 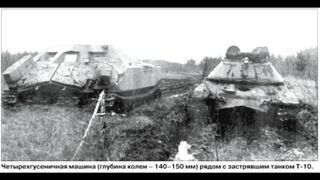 These solutions provided high crossing capacity and survivability: the tank could continue moving even with damaged tracks. The placement of the hull above the suspension allowed for a large fighting compartment, and as a result, increased ammunition and an improved autoloader mechanism for a high rate of fire. A functional prototype was manufactured in 1948. Being one of the most futuristic appearing tanks featured in game, the Object 279e brings the breakthrough tank concept to a whole new level. It's parameters, on the first glance, appears to be something in between the IS-7 and the IS-4, with a mid-large calibre gun, thick armor concentrated on the frontal arc and above average mobility & agility. This can actually be much misleading, for that it has one distinguishing benefit off the paper: the chassis design. Object 279e's boat-shaped hull completely remains above its 4 wide tracks. This odd design eliminated the LFP weakspot common on most ordinary tanks, leaving only the turret cupolas somewhat viable target. The suspension elements supporting the hull are also considered spaced armor as the tracks are, shooting through which causes no damage. As such, instead of side-scrape technique one can "head-scrape" in the 279e: Poke the angled glacis and conceal the weaker inner side behind cover. In this way, opponents who have either too low penetration to pen the glacis (which equal most vehicles ingame, and still many even with premium rounds) or too bad gun handling to target the cupolas will eventually perish beneath the M-62T2A gun, with the 279e barely scratched from the effort. The thick protruding edge of the glacis can also be used as a ramming bar to some extent; just be aware that one shall keep its weight in mind. That being said, it's still way far from invulnerability: to keep its weight in reasonable range, its sides and rear plates are far less sturdy than the IS tanks, and has no spaced armor strips to absorb poorly aim shots. Also most likely as a compromise to its unique layout, its hull bottom plate is only 20mm thick! This can be the Achilles heel against more seasoned opponents: exposing it by moving around inclination will directly negate the benefit of not having a LFP; while this pitiful thickness also takes heavy impact from HE shells landing on one's tracks. Getting pinned to death by high RoF guns spamming HE or simply arty bombardment is highly probable. TL;DR -- the armor on frontal arc is more than tough, just take caution abusing that. Other than the outstanding survivability, its firepower is nothing to be looked down upon. The M-62T2 may not have been new around with its just acceptable penetration and accuracy, but this one boasts improved reload rate, making its DPM comparable to those of the more nimble Chinese HTs. The only issue is the vertical clearance: 5 degrees of depression might not be very handy in facehugs or rough terrain. Despite inheriting the awful ground resistance of previous Soviet HTs, its comparatively powerful 850hp diesel engine ensured superior mobility to the cumbersome IS-4, and is roughly on par with the Super Conqueror. One won't arrive anywhere in a blink, but it usually will do. Overall, the Obj. 279e is a brilliant brawler, be it bullying meds or tricking other heavies. It's definitely worth going through the long mission chain. Gun Rammer is mandatory. VStab preferrable to enhance gun handling, yet aim time isn't that long to benefit greatly from a GLD; for the 3rd slot, GLD for handling, Vents for overall performance, Optics to gain more assists or Toolbox to keep the tracks going, at one's own leisure. One should already have no less than 1 set of highly trained Soviet HT crew member upon obtaining the Obj. 279e, and this vehicle doesn't require other specific skills than those one would train on techtree peers, whether the IS line or the KV line. However, note that its crew setup doesn't fit that of the IS-7's, with no 2nd loader slot (who doubles as radioman); other 3 top tier Soviet heavies all have identical crew setup. 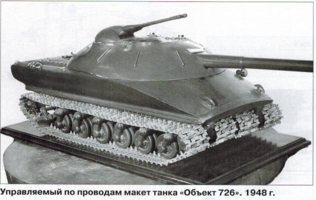 In reality, it was known as Object 726 and it had had no connection to the actual Object 279. 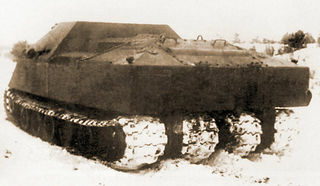 Although the design information and testing results from Obj.726 was used as a basis of the development of the Obj.279. This page was last modified on 7 April 2019, at 02:25.